A few weeks ago I discovered a new quilt pattern design app called QuiltFusion. I was so impressed with this app and the fusible web appliqué designs that it allows you to create that I just had to find out more about the origins of QuiltFusion, so I contacted the creator, Uncle Gravy, to find out about the development of this amazing app. When you designed QuiltFusion, who was your target audience? 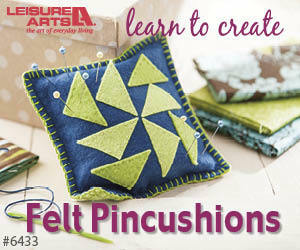 QuiltFusion is for quilters who have ideas and images in their head that they want to create in fabric. Maybe they don’t have the drawing skills to make them on their own - so we give you the artwork, fabrics and tools to compose it. It’s a tool to take your vision and make it in fabric. The fusible web appliqué process is simple and requires no specialized machines or expensive tools. I think this makes it accessible to a wide variety of skill sets. More advanced quilters might like the quickness of the design process in QuiltFusion, and are able to take the basic pattern and embellish and customize based on their advanced skill set. Are you a quilter yourself and if so, what is your favourite technique? (It’s got to be fusible web appliqué, right?). As an artist, I work in a variety of mediums and love to learn different processes. Quilting and fabric design are just one of them. Fusible appliqué is awesome because it’s so quick and easy, and produces beautiful results. That being said, I miss the “functional” quality of it, and nothing beats a great pieced quilt to wrap up in. I also went through a big machine embroidery phase (addiction? ), and digitized and produced some of my favorite work. Do you have to subscribe to QuiltFusion to create a quilt pattern? Currently, yes, you need a subscription. We are always listening to feedback, and how we can improve the app. One thing we are hearing a lot is being able to download individual patterns, so we are working on a solution for that. (Note: you can create a pattern on QuiltFusion, but you have to have a subscription to download that design). How can quilters collaborate in designing quilts with QuiltFusion? Collaboration is huge with me. I’ve gotten a chance to collaborate with a wide variety of artists and the results are always far and away better than I could ever produce on my own. To me, collaboration is the highest form of art. So when I first started formulating an idea for this app, I knew collaboration needed to be a feature. You do not need a subscription to collaborate and share. When you design a quilt, you can share it at any time in the gallery by clicking “share”. It then shows up in the gallery under “new”. Anyone can go into the gallery and click “customize” for any quilt. This will load a copy of that design into the editor and allow you to take that quilt and make it your own. You can change anything you want, from fabric, to borders and adding and removing artwork. You can then share it back to the gallery! The app is young, but I’m really excited to see how quilt designs may evolve over time: we are actually tracking the “ancestry” of designs shared and collaborated on so we can look back and share with the community. Almost like a game of the “telephone” where you whisper a secret around a room and see how it changes with each person. If you create a design in QuiltFusion, can you actually make this pattern with the exact fabrics that you used in the app? Yes, we want to help you make it in real fabric! So generating a pattern will give you material lists with manufacturer skus, templates and step-by-step instructions on how to make it with fabric. We have gone through a lot of work to make sure even the most novice of quilters can follow the directions to create something beautiful and look exactly how they designed it. Fabric availability is key – you don’t want to design a quilt that relies on a certain fabric pattern only to learn it’s not available in quilt shops. So we keep the library of fabric up to date. Every week we pull discontinued fabrics and add new fabrics. We also make it easy for you to get the fabrics with our relationship with BatiksPlus.com. There is a simple button in each pattern that will add the required fabrics to a shopping cart on BatiksPlus.com. They have one of the largest inventories of batik fabrics, so getting a custom kit is easy. Will you be offering other fabrics in the future or staying with batiks? The plan was to stay with batiks – but really, it depends on what quilters want. Feedback is important, so if prints or other fabrics are requested, we will do our best to source these and get them into QuiltFusion. How often will new designs be added to the QuiltFusion library? Adding new designs is my favorite part, I love drawing and if I could just do that full-time, I would. We add new designs every week. Some more than others – depends on if we are programming new features, but we generally at 10-20 scene items each week. If someone wants to contact you about having their designs included in QuiltFusion, what is the best way to do this? Shoot an email to unclegravy@quiltfusion.com – We would love to start working with more artists – it’s all one big huge collaboration experiment, and the artist's work is part of it! Because of the pattern generation part of the app, artwork needs to be in a very specific vector format, and sometimes we need to tweak work to make it condusive to the fusible web method. 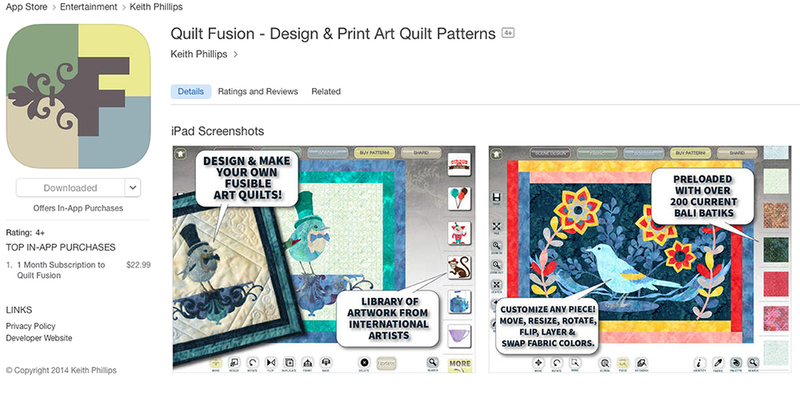 Will QuiltFusion always be an iPad app or can we look forward to a desktop version in the future? We are planning on a desktop version near the end of the year or early 2016. We have some features in the app version we want to implement first, before porting it over. It will be available on the PC for sure, and “in theory” Mac (sorry, can’t commit to Mac until we get close to that stage of development and do thorough testing). Any enhancements that are upcoming in QuiltFusion? Yes! Hopefully by the time this is published, our new update will be out. It will feature overlapping appliques over the border, and a slew of community oriented features in the gallery (comments, favorites, sharing). We are also working on purchasing individual patterns and designing with pieced backgrounds. (Note: overlapping appliqués over the border are now available in QuiltFusion). If quilters have questions about QuiltFusion, how can they contact you? We are pretty accessible everywhere online. Email is the best (unclegravy@quiltfusion.com), followed by posting a comment on any page on our website (good for feature suggestions). Facebook comments are also encouraged. Anything else you'd like to let potential subscribers know? Feedback feedback feedback! We love it! and if anyone has a suggestion for content, features, collaboration or questions on making their quilts, just drop us a line. Especially requests for the library. A lot of what goes on my “drawing list” for the week is suggested by quilters. Download QuiltFusion from the app store and keep up with the latest updates and news at www.quiltfusion.com. It's not too early to start designing some Christmas and winter quilts, so check out QuiltFusion today.